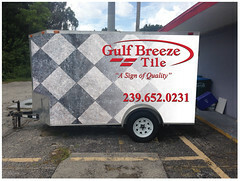 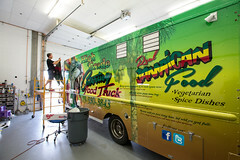 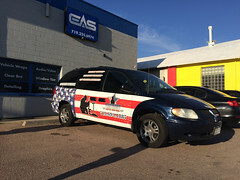 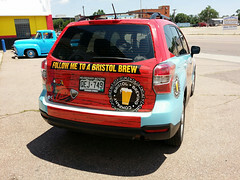 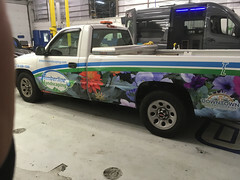 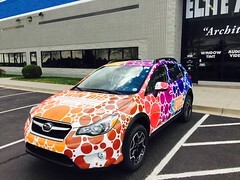 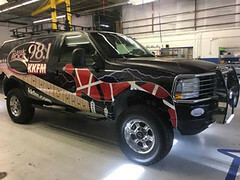 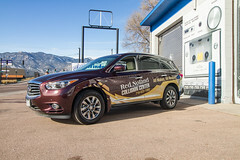 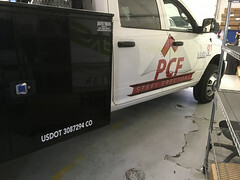 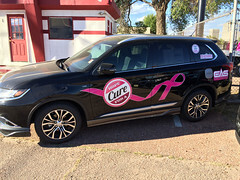 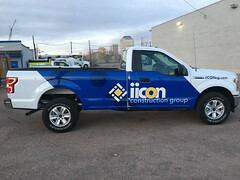 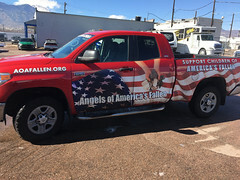 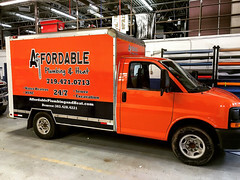 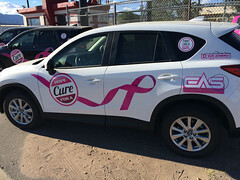 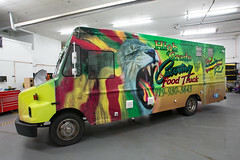 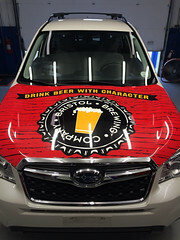 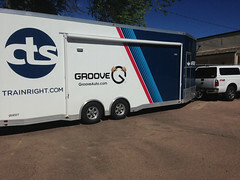 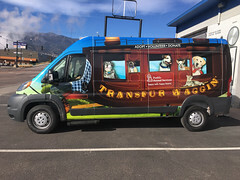 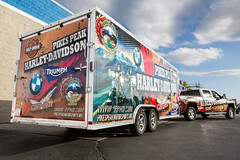 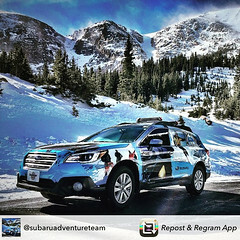 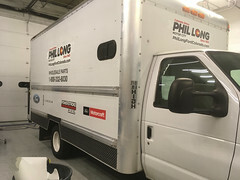 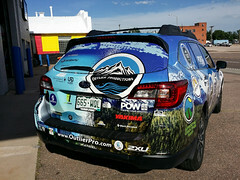 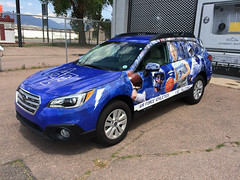 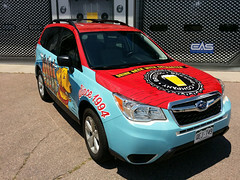 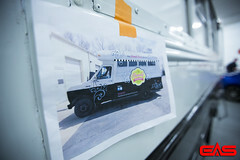 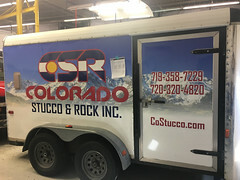 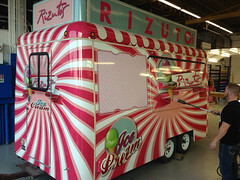 Custom graphics for advertising have proven to be an excellent tool for bringing awareness to your business, and are critical for attracting customers for food trucks and other mobile businesses. 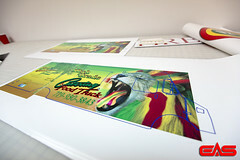 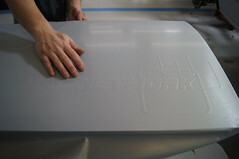 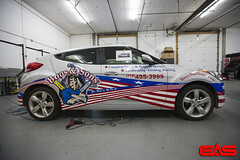 We can design a layout to fit your logo, colors and fonts, and put together a layout as an extension of your business. 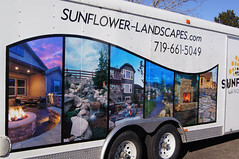 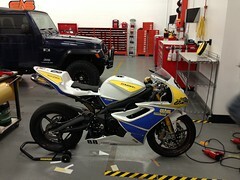 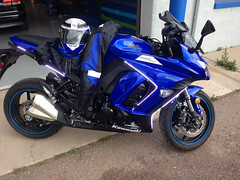 Of course, if you have your own designs ready we can use them. 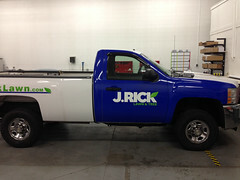 We can accommodate any job from a single commuter to a fleet of trailers. 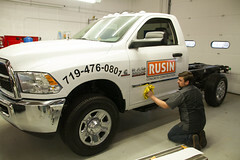 Installation can be finished with minimal downtime. 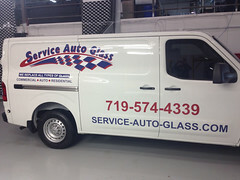 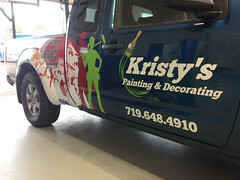 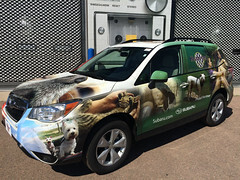 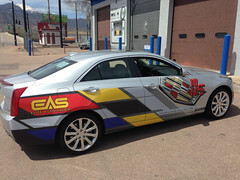 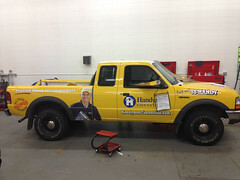 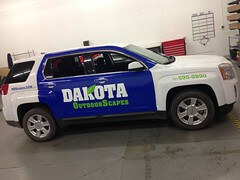 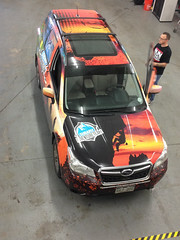 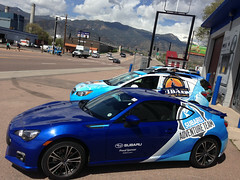 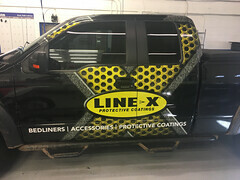 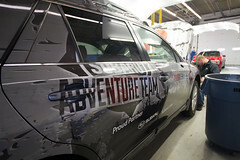 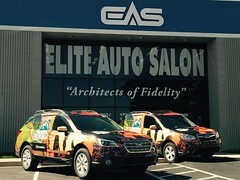 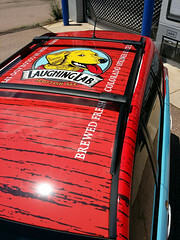 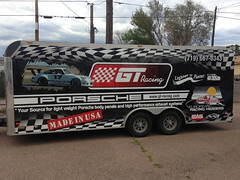 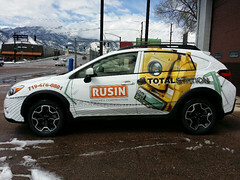 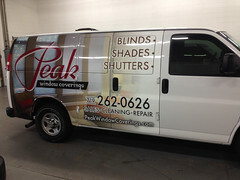 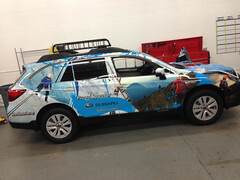 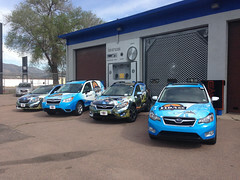 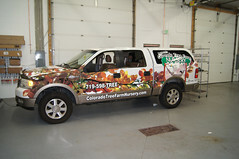 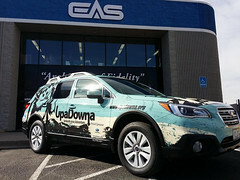 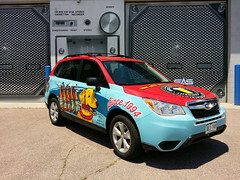 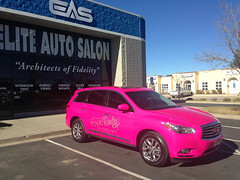 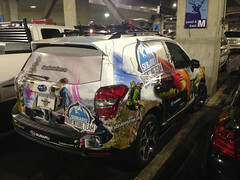 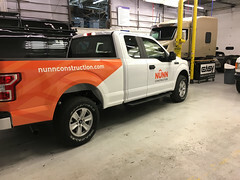 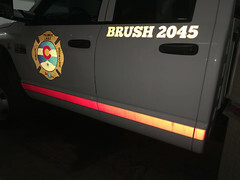 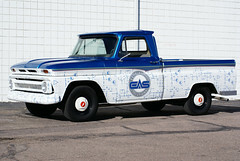 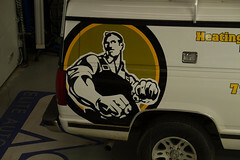 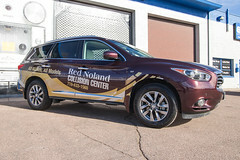 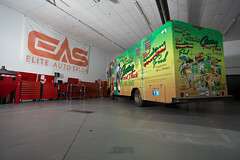 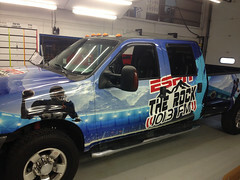 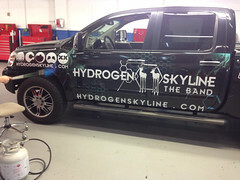 We can handle any job from adding lettering for a single business vehicle, to full wraps on an entire fleet.